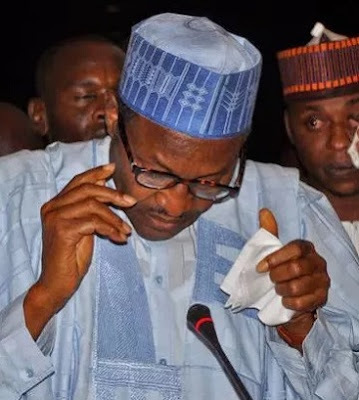 President Muhammadu Buhari is reportedly receiving medical attention at the State House Clinic, Abuja after being diagnosed with Meniere Disease, a disorder of the inner ear. According to reports, the President now suffers hearing impairment because of the disease, as he routinely complains of severe pains and unusual sounds from the affected left ear. Report says the development is the reason Buhari's outings have been drastically reduced in the last one week. The President had recently cancelled various official trips within and outside the country and was represented by the Vice President, Yemi osinbajo - the most recent being the flag-off of the Ogoni Clean-up in Rivers State and the 48th Ordinary Summit of Head of State and Government of the Economic Community of West African States (ECOWAS) holding this weekend in Dakar, Senegal. He also cancelled his scheduled trip to Lagos to State, which would have been the first visit of a sitting President to the state after several years. Sources say the infection, which Buhari reportedly got about two weeks ago, is the reason for the cancellations. It was gathered that only the President's family and a few high profile individuals are aware of his sickness. According to an official, the President might be flown abroad if his condition does not improve in the next few days. Meniere's disease is a disorder of the inner ear that causes episodes in which you feel as if you're spinning (vertigo), and you have fluctuating hearing loss with a progressive, ultimately permanent loss of hearing, ringing in the ear (tinnitus), and sometimes a feeling of fullness or pressure in your ear. 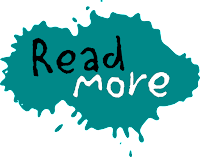 Meniere's disease can occur at any age, but it usually starts between the ages of 20 and 50. It's considered a chronic condition, but various treatments can help relieve symptoms and minimize the long-term impact on your life. 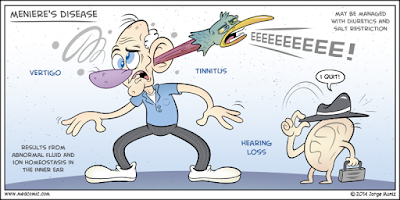 Hearing loss. 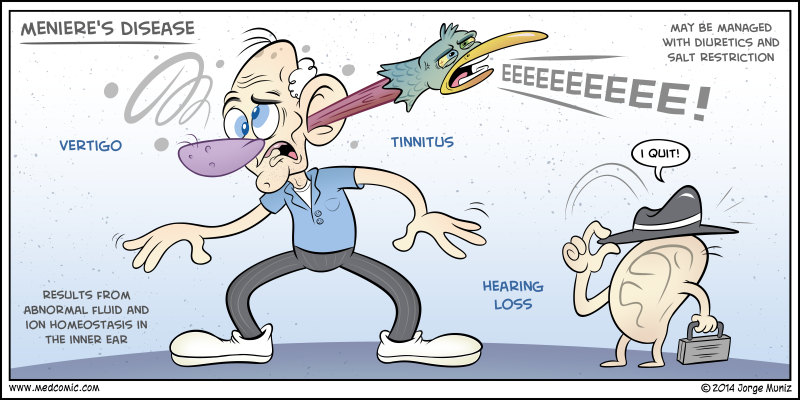 Hearing loss in Meniere's disease may come and go, particularly early on. Eventually, most people have some permanent hearing loss. Feeling of fullness in the ear. People with Meniere's disease often feel pressure in the affected ears (aural fullness) or on the side of their heads. 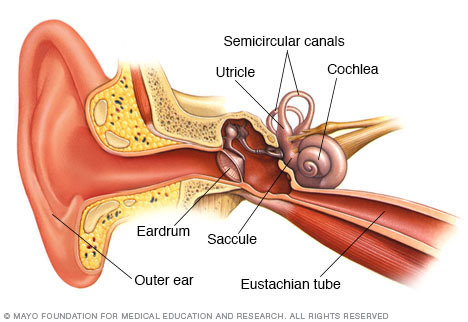 Semicircular canals and otolith organs — the utricle and saccule — in your inner ear contain fluid and fine, hairlike sensors that help you keep your eyes focused on a target when your head is in motion and assist in helping you maintain your balance. After an episode, signs and symptoms improve and might disappear entirely. Episodes can occur weeks to years apart. 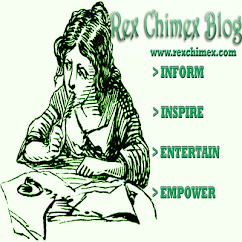 The cause of Meniere's disease isn't understood. One popular theory that hasn't been proved is that Meniere's disease appears to be the result of the abnormal amount of fluid (endolymph) in the inner ear. This often shows on autopsies, but it's not clear that it causes the episodes. Because no single cause has been identified, it's likely that Meniere's disease results from a combination of factors.